Do you have dental problems? 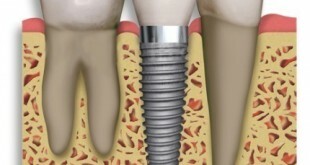 Where do you seek dental advice and treatment? Various aspects need to be considered in choosing a dental clinic and the dentist for professional advice and quality dental care. Look for a dental practitioner that is registered with the Malaysian Dental Council (MDC), as well as dental clinic that is registered with the Ministry of Health Malaysia (MOH) to avoid risks and danger. Treatment by street dentist poses great risks that may lead to dangerous infections such as AIDS and hepatitis B due to non-sterilized equipment as well as receiving treatment in dirty public areas. Dentist must be registered with the MDC and have an active Annual Practice Certificate (APC) for the current year. (APC should be displayed. If they cannot see it, patients may ask to see it). A segment of the community continues to seek dental treatment from street dentists. They are unqualified to perform dental treatment. Certainly they are not eligible to be registered with the MDC. They usually carry out treatment in crowded areas and a dirty environment. They are also known as illegal dental practitioners, quack dentists, street dentists, sidewalk dentists and dentures doctors. News related to foreign street dentists is increasing. There are also immigrants that enter our country using tourist visas offering dental treatment illegally. Often, they publicise their services by word of mouth, distribution of business cards, flyers and posters to the public. The public is advised to be careful not to be swayed by the street dentists’ promotions. Various locations are the choice of these dentists to carry out their operations such as the roadside, wet markets, coffee shops, niche of the building, hidden areas and some offer treatment from house to house by appointment. As these dentists are practising illegally, they tend to move from one location to another or even from one state to another to avoid of being tracked by the enforcement officers. 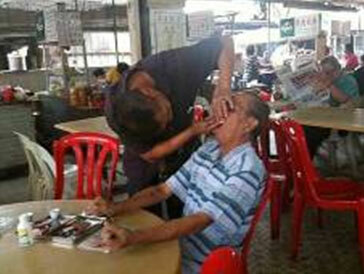 Street dentists offer dental services at dirty and unsafe location. For example, treatment in the market area is in a crowded area that is not disinfected thus exposing patients to infections and cross-infections. In addition the place smells, is noisy and exposed with no privacy for the patient. Limited lighting adds to the risk of injury during treatment e.g. 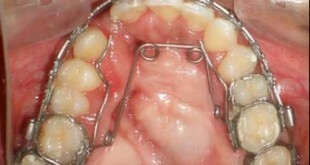 retention of fractured roots during extractions. 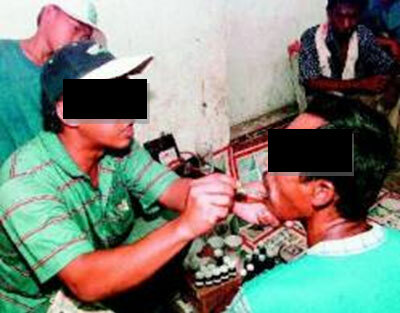 Street dentists provide dental treatment without using gloves and face masks. Infectious diseases can spread via saliva, blood and liquids from the mouth of one patient to another. Isn’t it nauseating and disgusting when saliva and blood from the mouth of another person touches the mouth the next patient? Moreover the dental equipment used is not disinfected (non-sterile), some are washed or simply wiped with a dirty cloth and used repeatedly. There are cases where there is insufficient water supply or no direct water to clean equipment or for the patient to rinse his mouth during treatment.. Dirty and rusty pliers used for general handyman work are also used in the patient’s mouth where saliva and blood may stick to the equipments which is then used for the next patient. Wiping equipment with a rag, rinsing it with water or soaking it in certain solutions are not sufficient. It does not destroy germs such as bacteria and viruses spores, compared to the method of sterilization used in dental clinics registered with the MOH. Therefore, patients treated by street dentist have a high risk of being exposed to infections like hepatitis B and HIV. Do not be swayed by the cheap cost of treatment. This cheap treatment does not mean anything if you pawned your lives for a dangerous disease. By avoiding seeking dental treatment from street dentists, you are avoiding the risk of infection to yourself! We should not allow this illegal dental practice to growing. Some of our relatives or friends might fall prey to their treatment. More time, effort and money are wasted in treating the side effects of their inappropriate treatment. Don’t be a victim of fraud. It is our responsibility to stop this activities by spreading this important information to family members, relatives, friends and the public to prevent them from becoming victims of these illegal dental practice. Private Healthcare Facilities and Services Act 1998 [Act 586] controls various aspects of the management of the private premises offering medical and dental services that are registered with the Ministry of Health. Individuals who own a non-registered dental premises are commuting an offence under section 5 (1) of the Private Healthcare Facilities and Services Act 1998 [Act 586] and a maximum fine of RM300,000 and / or imprisonment not exceeding six years may be imposed.